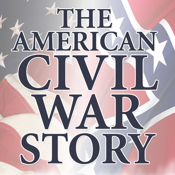 This fresh portrayal of the American Civil War offers stimulating accounts from varying perspectives that beginners and experts alike will find informative. Highly recommended” James M McPherson PhD, Professor Emeritus of American History at Princeton University. As well as looking at the involvement and influence of women, slaves, foreigners, new technologies, naval power and religion.